What role do large battery storage systems play in the future energy supply? What opportunities does energy market 2.0 offer for companies involved? How is a megawatt-class battery inverter actually built? In April, Large-Scale Storage Day at SMA offered participants interesting lectures, tours of Sunny Central Storage production and the SMA Test center, and plenty of time for networking. 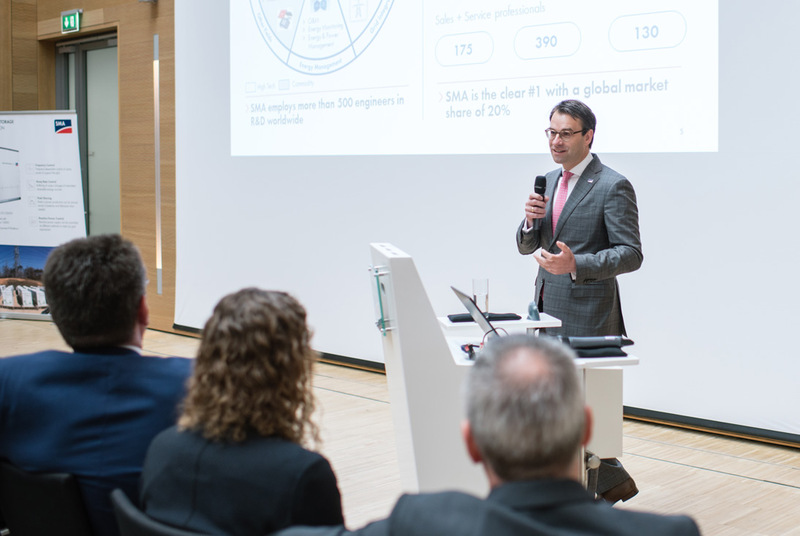 SMA CEO & CSO Pierre-Pascal Urbon sees battery storage systems as a growth driver on the world market because they provide added value for customers. Solar energy is competitive and will therefore be a significant energy carrier of the future. The industry anticipates worldwide market growth of at least 200 gigawatts by 2030 (Bloomberg New Energy Outlook). In comparison with today, that means a tripling of the market. This is because solar energy is also one of the most cost-effective technologies in power generation. Large battery storage systems on the utility grid provide necessary grid services and thus avoid expensive and complex grid expansion. Since prices for battery storage systems have dropped over the last few years, particularly in the field of lithium-ion technology, general conditions are becoming increasingly attractive. The time is more than ripe for storage systems on the utility grid. 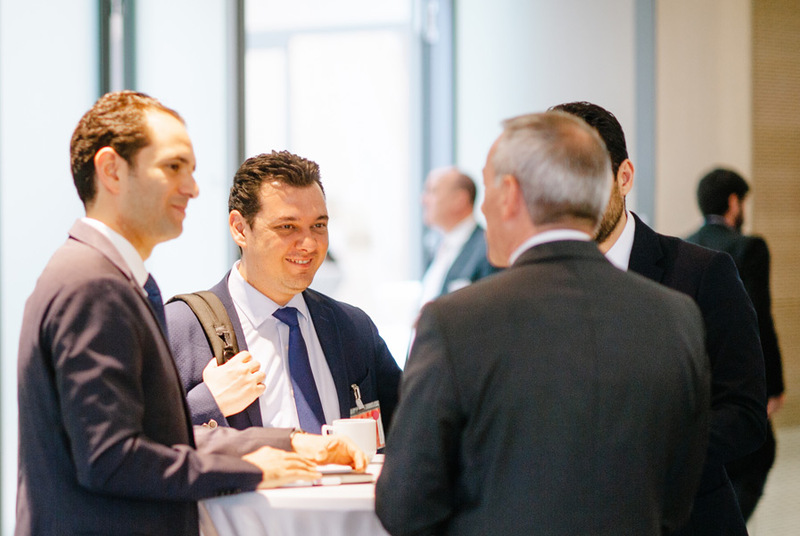 During the breaks, the participants took the opportunity to make contacts and talk about new options with storage solutions. On Large-Scale Storage Day on April 25, 2017 at SMA in Niestetal, more than 150 interested parties from the energy industry and the areas of project development and research excitedly discussed with SMA experts the new opportunities with large-scale storage solutions. This is because storing energy offers significant added value for electric utility companies, project developers and PV system operators. Battery storage systems are interesting wherever solar energy or other renewable energies are already installed, or are going to be installed. 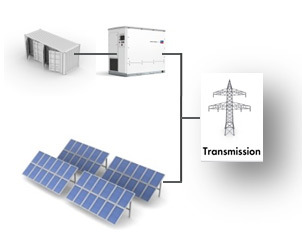 Grid-connected storage systems enable the integration of large amounts of intermittent renewable energies into the utility grid while simultaneously keeping the utility grids stable. Solar energy and storage systems are the drivers of the energy transition. Megawatt-class storage projects in the UK and South Korea prove that battery storage systems are already running efficiently and are preferred to conventional solutions. Volker Wachenfeld, EVP Off-Grid and Storage business unit at SMA, reports on the subject in an interview. 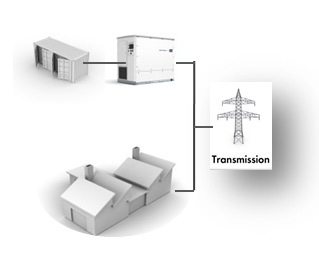 Primary operating reserve is one of the main tasks of transmission grid operators and ensures the grid stability. Frequency control, or the relationship between load and generation, is decisive here. Storage systems perform this grid management service within seconds, are extremely efficient and are also very flexible and modular during installation. In commercial and industrial systems, and in so-called capacity markets, it is a question of absorbing peaks and offsetting shortfalls. The temporarily required peak load is generally much higher than the average required load. Large battery storage systems, energy provision and grid management services enable the same grid-stabilizing properties as conventional power plants. They can be used worldwide in every application and every system size. The changing electric vehicle market offers new business models, such as for operators of vehicle fleets or parking ramps. Ricky Jark from Koopmann Energie- und Elektrotechnik Hannover GmbH talks about the new ideas and tips for integrating large-scale storage systems into the utility grid in an interview. Large-scale storage systems are the next logical step in making the supply of energy reliable and controllable. Thanks to the flexible and modular design of storage systems, the possibilities are almost endless. These are the ideal conditions for a decentralized and worldwide electricity supply using renewable energies. 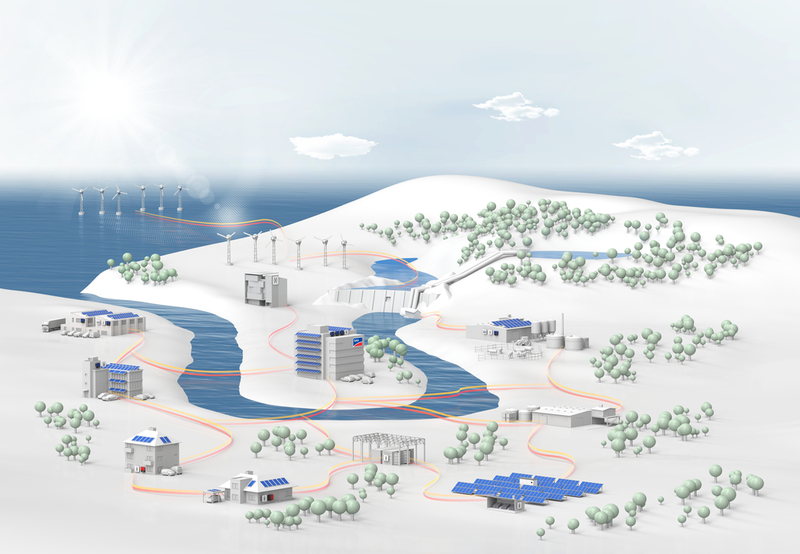 SMA has the right solutions for a sustainable and reliable energy supply. The Sunny Central Storage is the central component of the SMA system solution for integration of large-scale storage systems. It is designed to compensate for fluctuations in solar energy generation and offers comprehensive grid management services such as automatic frequency control. 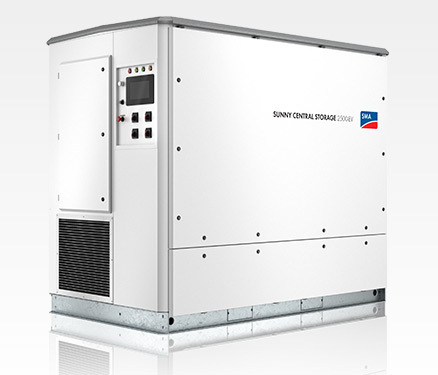 The battery inverter is optimized for continuous operation at nominal load and temperatures of −25°C to +50°C and is also available as a turnkey solution with a medium-voltage block. Find more information on our product page. Anyone who missed Large-Scale Storage Day but would still like to learn about SMA solutions is invited to visit the SMA booth at Intersolar Europe, May 31 to June 2 at booth B3.210, hall 3. Everything about text in the area of Off-Grid plants. Everything in relation to Off-Grid Solutions. — Solar Eclipse – A Time for Storage to Shine?